In January, our One Read reading panel will begin the process of narrowing down the list of books nominated for our community-wide reading program. In the meantime, we are highlighting some of the suggested titles so you can see what other local readers are enjoying. Have a book you would like to recommend? Suggest a title! 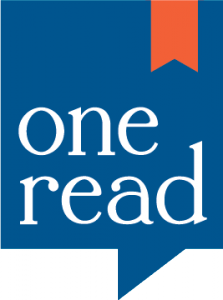 In January, our One Read reading panel will begin narrowing down the list of books nominated for our community-wide reading program. In the meantime, we are highlighting just some of these suggested titles so you can see what other local readers are enjoying. Thank You For Taking Part in One Read 2017! A huge thank you to everyone who read or listened to “The Turner House” by Angela Flournoy and participated in any of the excellent One Read events this year. In the month of September, we explored a wide variety of topics that ranged from the financial decline of 2008 to the music of Detroit. We learned how our past haunts us, and maybe haunts our family as well. We listened to author Angela Flournoy talk about her experiences that inspired her to write “The Turner House” and had the opportunity to chat with her. As a community, we investigated the topics and themes of this novel through discussions, arts, films and lectures. We want to express our appreciation to all of you who attended these events, read the book and shared it with your friends, family, coworkers and book clubs. Thank you for being a part of this year’s One Read! Do you have an idea for what book our community should read next? Visit this site or any library branch in November to suggest a book for next year. As part of this year’s One Read program, we invited you to take inspiration from “The Turner House,” and tell a story about a haunting in 250 words or less. It could have been about a haunting by a ghost, the haunting consequences of a past decision or some other type of haunting entirely. We received many entries about ghosts and ghouls, but a few were a different haunting all together. All of the writers shared their stories in less than 250 words. Thank you to everyone who entered and shared your stories of hauntings! Our two winners are Denise Felt and Leah Allen. Honorable mention goes to Wyatt Wilkerson. We are excited to share with you the winning stories.